fotograf makinasi ve kaset serisine kisa bir ara verip, vakt-i zamaninda fotograflayip ve fakat bir turlu firsat bulup da listeleyememis oldugum arkadaslardan bahsetmek istiyorum bu kez. i would like take a little break on the cassette tape and camera line and talk about the other friends, whom i photographed a long time ago but never found the time to list. 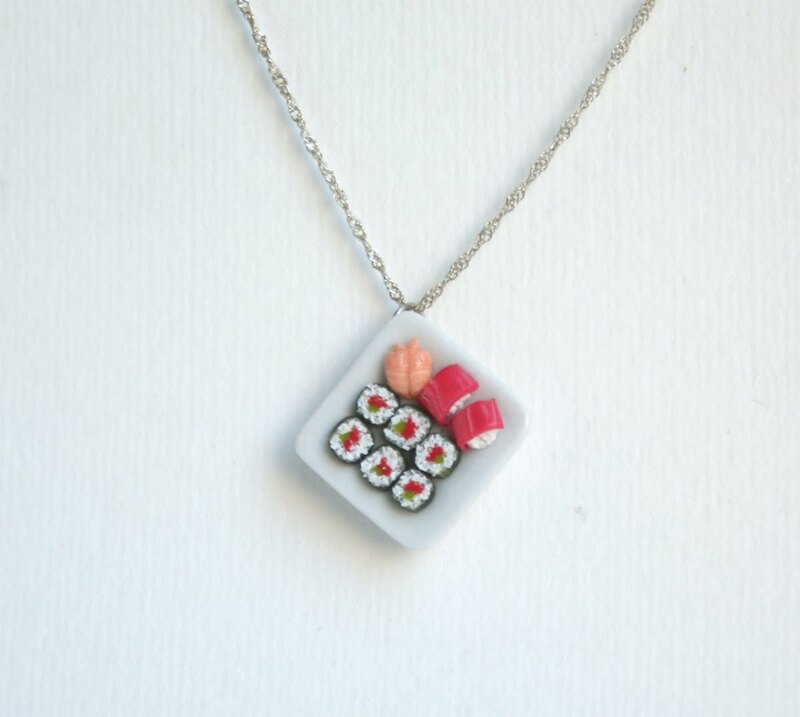 bugunku konugumuz bir sushi tabagi. gordugunuz gibi kendileri son derece gercekci olup, porselen tabak uzerinde sunulan, polimer kilden yapilmis el yapimi minyatur sushilerden meydana gelmekte. 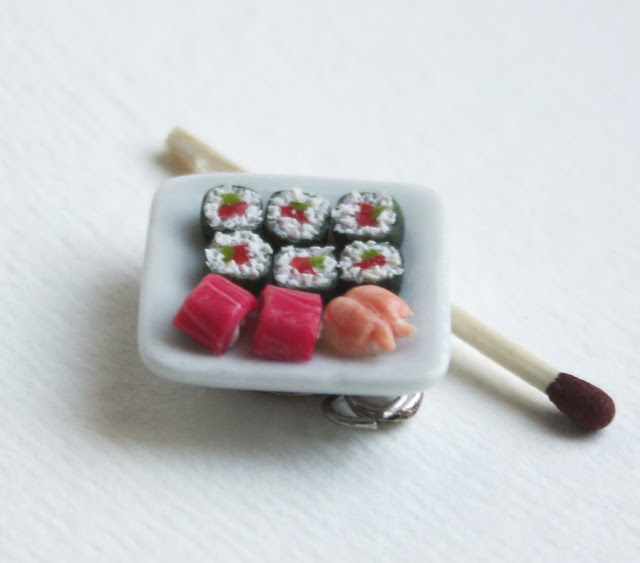 and our guest today is a sushi platter. 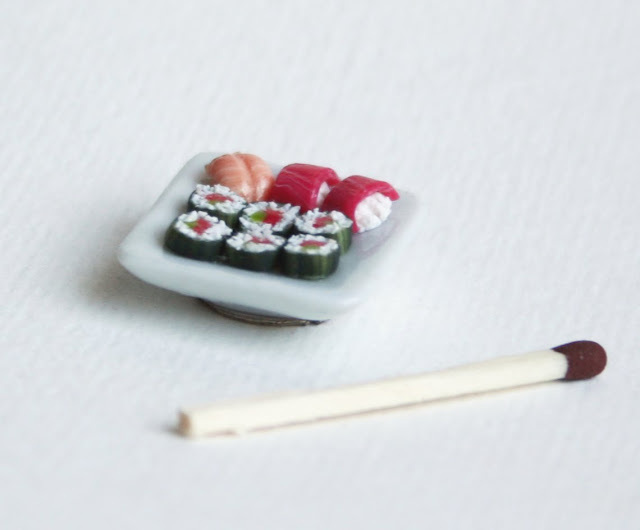 it's not only highly realistic but also contains miniature handmade sushi, which were made of polymer clay, on a porcelain plate. hopefully, you can guess the measurements comparing to the match. i'm just too tired right now to stand up and actually measure it. surasi etsy, burasi pasaj, ozlem@ozlemakin.com ise bizzat fiziki olarak bulundugu adresi.